Needing a pair of black heels for a friend's wedding (that was on Saturday), I took to the internet and came upon images of Joe's Jeans Laney Heels. I've never heard of the brand before, but I really liked the style. All my frequented online shopping sites were either out of the color, my size (I'm an 7.5-8), or sold out of the style all together. With some more searching, I found the Laney heels in black on revolveclothing.com, but the smallest size they had was a 8.5. However, after reading some reviews stating the shoes ran a bit narrow, and the fact that the back of the heels are covered, I felt I could get away with the 8.5. Again, I wasn't familiar with this website, and had reservations about ordering from them. But, being the daredevil that I am, I screamed "BANZAI!" and submitted my order. My worries over revolveclothing.com were quickly laid to rest, and turned out to be an absolute pleasure. The website offers free international shipping on orders above $100. The Joe's Jeans Laney Heels were on sale for $95/¥10,324 (originally retailing at $135/ ¥14,671), so, my order didn't qualify for free shipping. However, the International shipping fee to Japan was only ¥1,087/$10 (very inexpensive, especially if you've ever placed an International order with Nordstrom...absolutely criminal! ), bring my order total to ¥11,410/$105.00. I don't remember the number of days it took to get my package, but I do recall being surprised on how quickly it arrived. 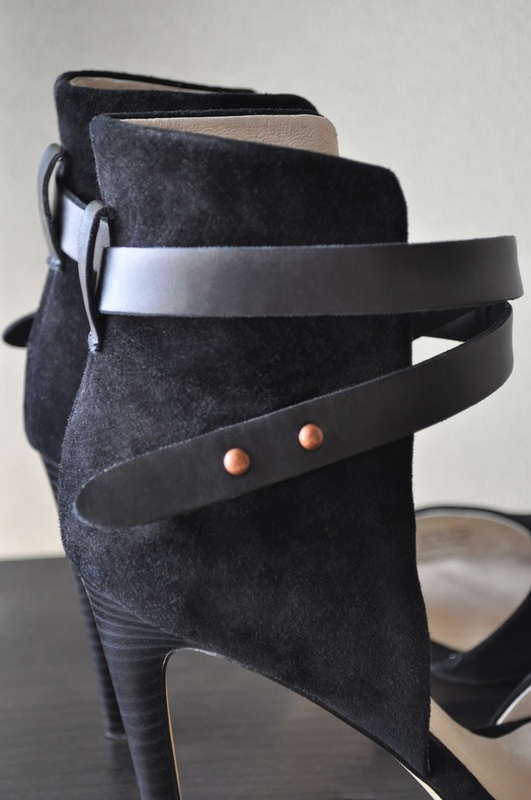 One of the first things that drew me to the Laney Heels was the tall, pulled-up collar fashioned, architectural counter, which is made of suede. 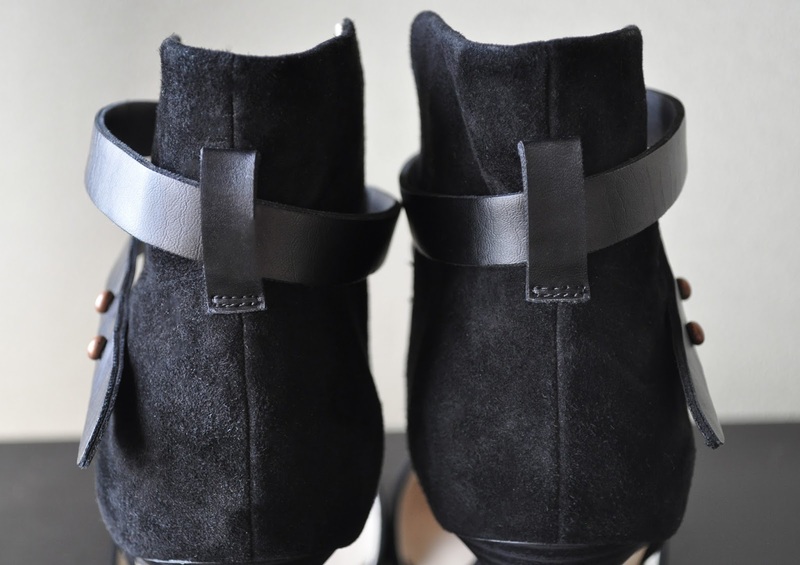 The leather ankle wraparound straps crisscross to add an attractive textual contrast. 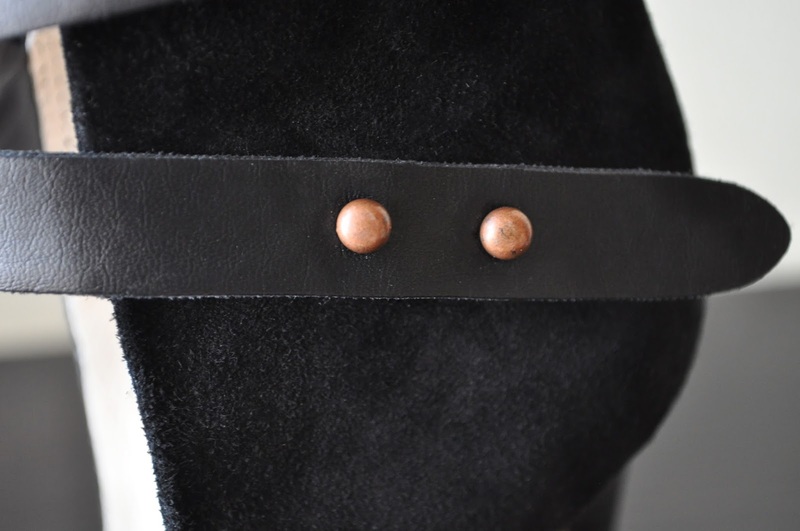 I adore the copper-colored push pin closures and find them to be a perfect finishing touch. When it comes to my toebox style aesthetic in shoes, I prefer a rounded or squarer shaped toe; never really liking the pointer shapes. Plus, although I don't have Flintstones feet, my feet are on the wider side. 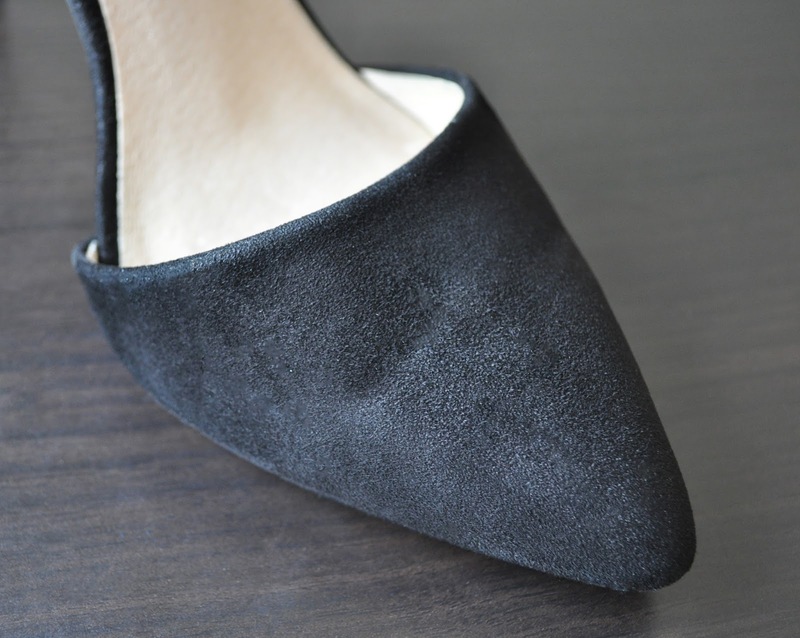 Therefore, I almost always avoid pointy shoes that emphasize the wideness. The bold, shorter length cutout, and slight rounded-off tip of the Laney shoes allows me to getaway with this style. With a 4 inch heel, I took a risk and broke these shoes in on the day of the wedding. Including the ceremony, reception, after party, and a total of an hour and a half of commuting, I only experienced discomfort in my left foot; which is always the case when I break-in new heels. The Laney heels make your legs look awesome! They can be worn for both casual and formal outings. I received loads of compliments on Saturday, and I foresee these heels getting a lot of mileage this season. 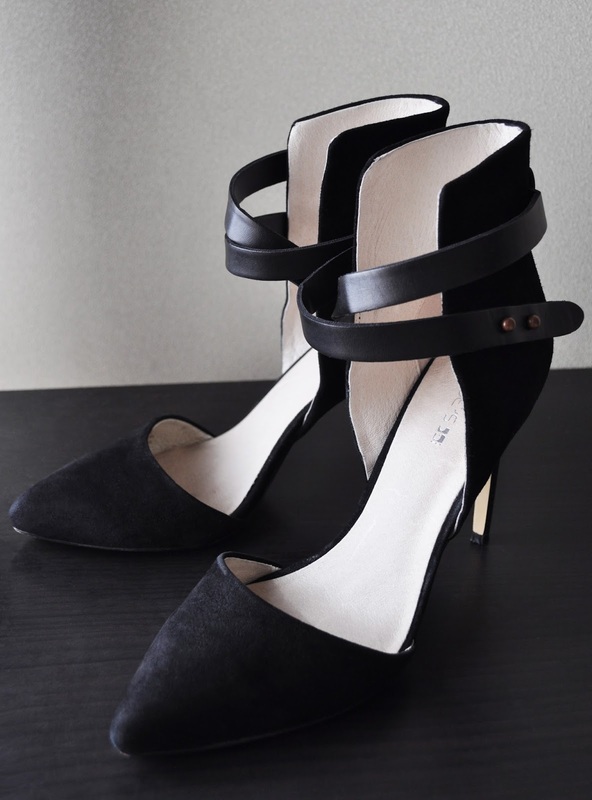 Joe's Jeans Laney heels are striking, chic, edgy, and a modern take on black heels. I am fairly certain I would have ZERO ability to walk in these shoes. I need a bit of a platform on the toe to manage heels so tall. That being said I FREAKING LOVE THESE! And revolve is a fantastic store for us non-Americans to shop on! Your experience was the norm and not a fluke. Now I am trying to stop myself from looking up these shoes.